Most people will tell you that eyebrows are the most important feature on a persons face. Helping to frame the face, add expression and create symmetry. 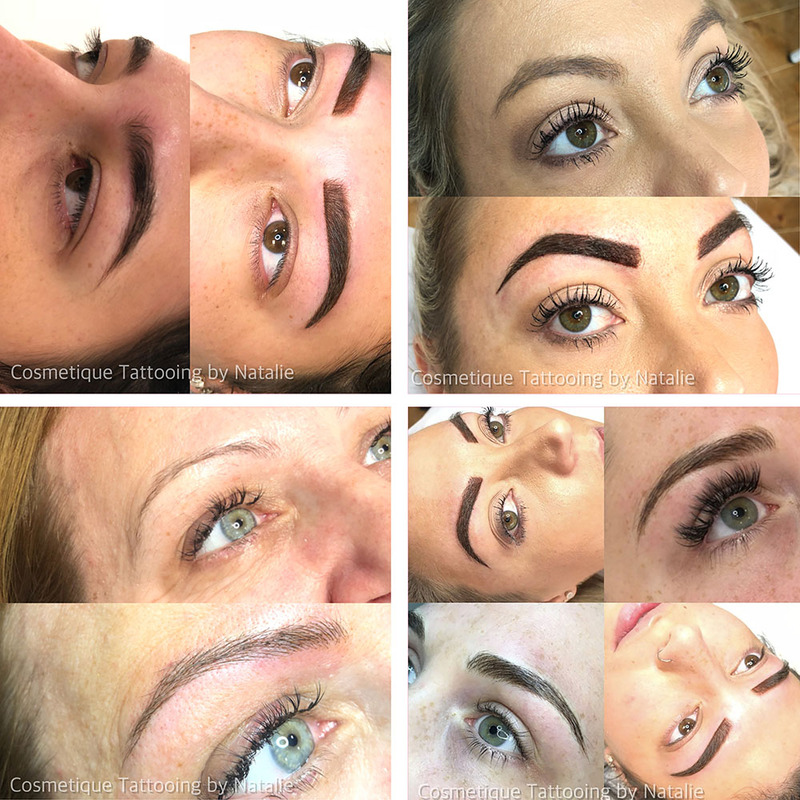 Whether you have over plucked your eyebrows or just not been blessed with natural boldness, thickness or definition we can create a brow shape to suit your facial structure. 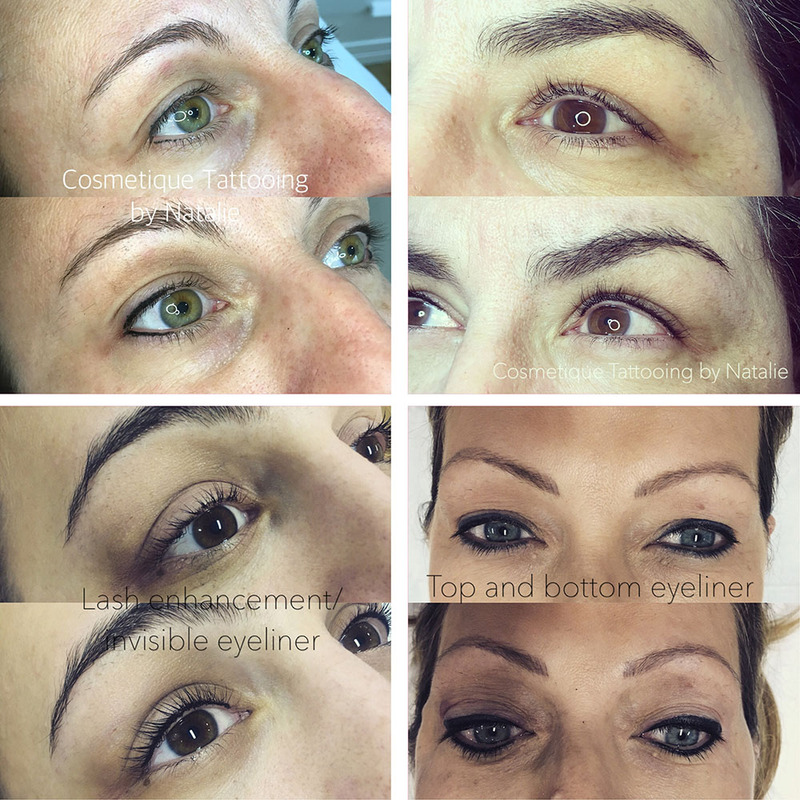 During the consultation your face is measured and bone structure taken into account to create the desired eyebrow shape, personalised for you. Colour pigment is also selected to suit your natural hair colour. 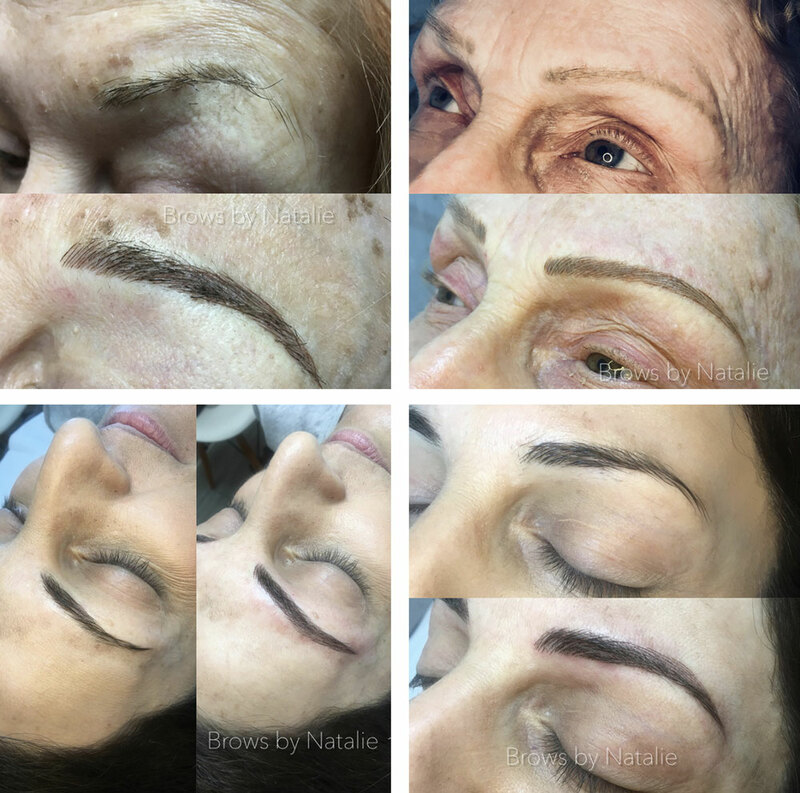 Feather Stroke Eyebrow Tattoo: Using a micro blade to create thin strokes to mimic your natural hair, creating a feathering look. This is a much more natural and softer look than the powder fill. Powder Fill: Powder fill is used when the client desires a more fuller and bolder look. This technique mimics the look of a makeup filled eyebrow. 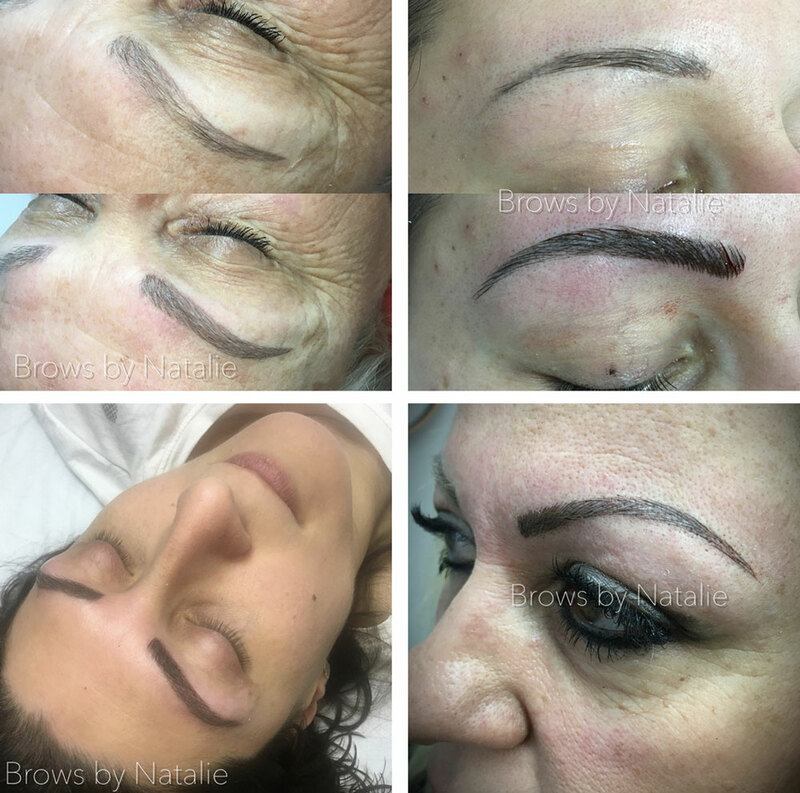 Combination Brow: This technique is used to achieve a full powder brow on the ends with natural hair like strokes at the beginning of the brows. This is used so the look isn’t as bold throughout the whole eyebrow. 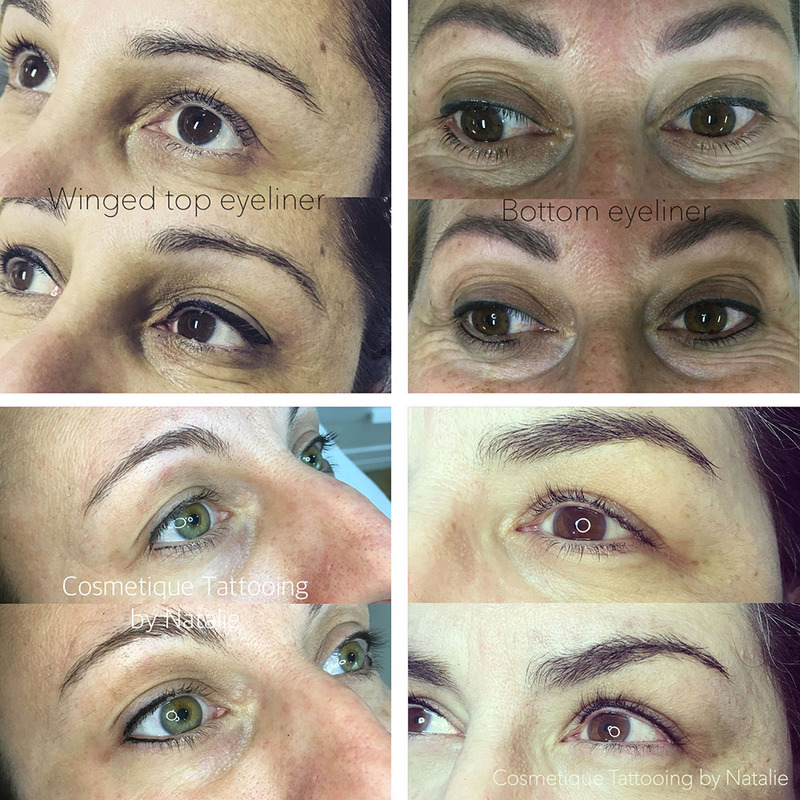 Perfect for someone wanting a bolder look that is gradually worked into the beginning of the brow. $100 deposit is required at time of making the appointment. Deposit will be taken off cost of treatment at the time of treatment. Deposit will be forfeited if the treatment is cancelled or rescheduled within 72 hours of appointment. Eyeliner Tattoo can finish the eyes and really shape it. 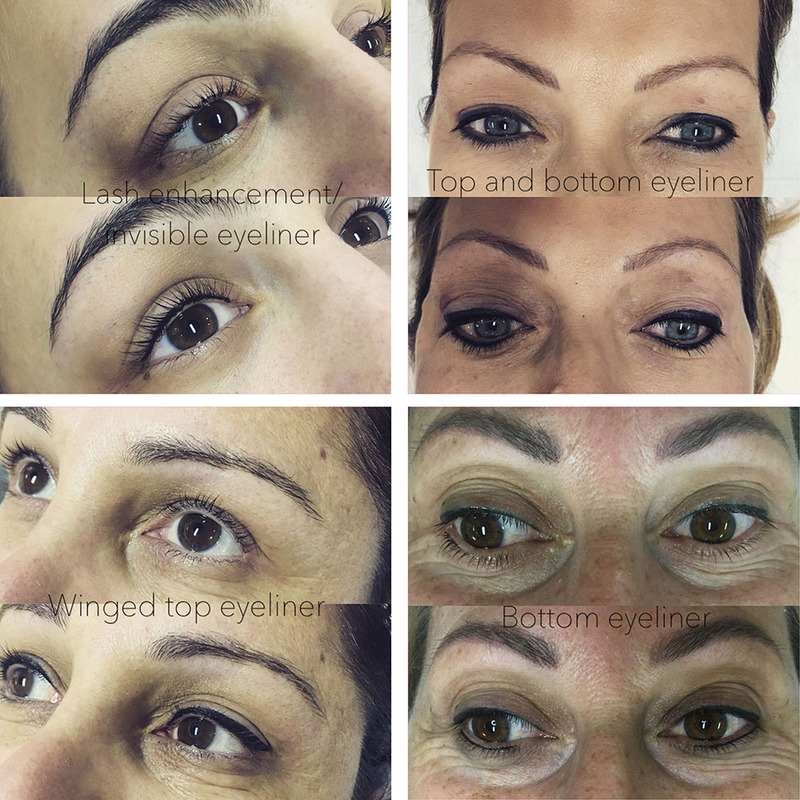 Everybody’s eyes are a different shape, therefore during the consultation process this is taken into account to design the perfect eyeliner for you. Over time we lose the defined lip line and fullness of our lips. 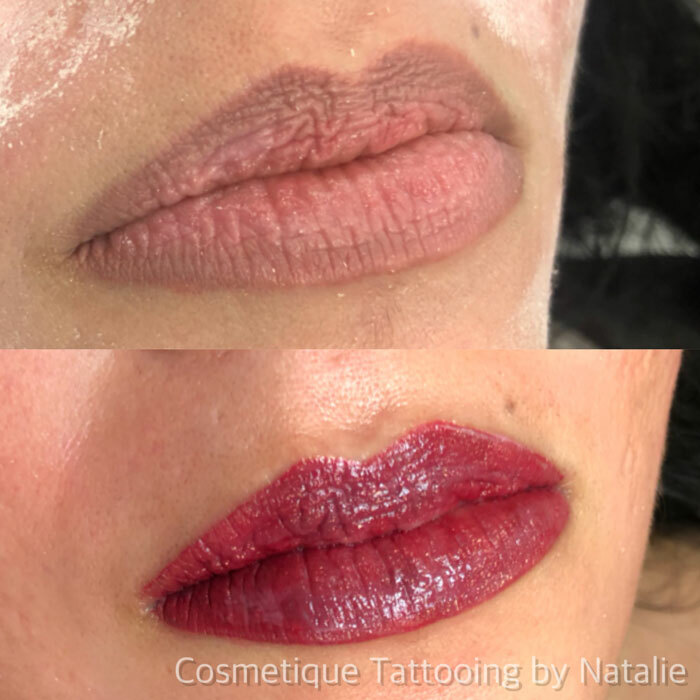 Cosmetic lip tattoo enhances your lip line and tints the lips to achieve fuller defined lips. 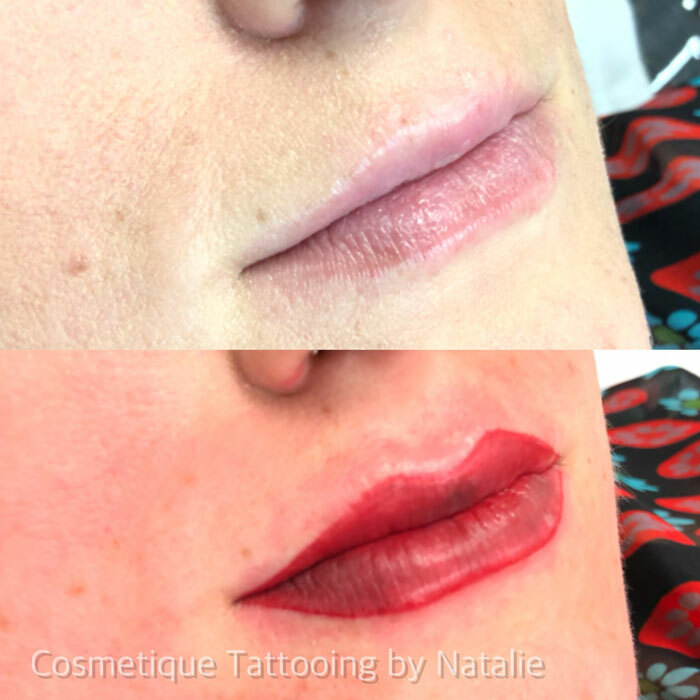 This painless procedure is perfect for anyone wanting a beautiful full colored lip. For All Your Beauty Needs! Come and see us at Doncaster East’s Home Of Beauty!